Well I have no real good excuse for the lack of posts lately. Except for of course traveling, graduating residency, moving across the country, and staying with our fabulous family the last 40 days who cooked us dinner every night. But I have a brand new Macbook and I am pulling 1500 pictures off my Canon Rebel right now so… get ready to be inundated with posts. I am sad to have missed the summer but will be doing some late summer recipes. And although I love the summer weather, I am super excited to have a real autumn again and cook all of the fall recipes that exist in the world. First make the dough. Combine 3/4 cup warm water with the yeast and pinch of sugar. Let this proof for 10 minutes. Whisk in 3 eggs. Add half the bread flour and stir vigorously to combine for 2 minutes. Mix in the butter, 3 tbsp sugar, remaining flour, and salt. Let rest for 15 minutes. 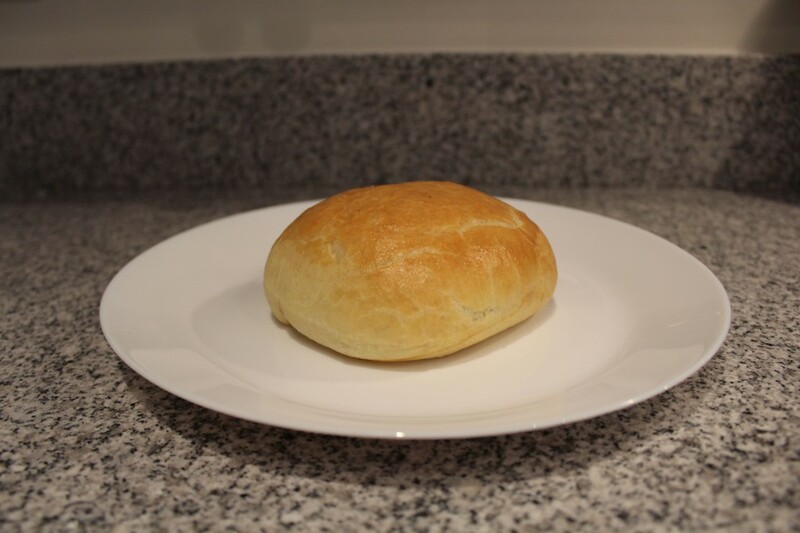 Knead the dough for 5 minutes until it feels tight and when you push your thumb into the dough, it bounces back. Transfer to a bowl coated with butter, allow it to rise for 1 hour. Chill in the fridge for at least 2 hours, preferably overnight. 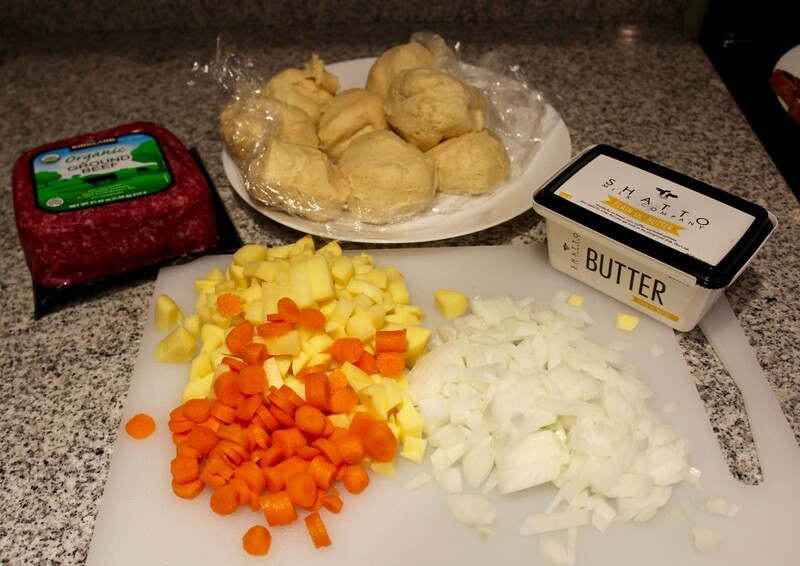 When you are ready to make the runzas, remove the dough from the fridge and divide it into 8 parts. Roll each one into a ball and allow them to rest on the counter for 30 minutes while you make the filling. 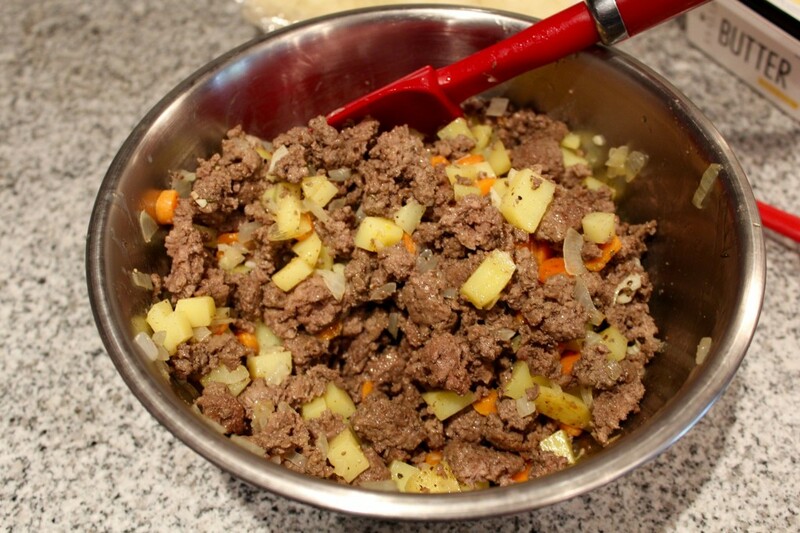 Over medium high heat, add the ground beef to a large skillet. Cook through, about 15 minutes. Use a slotted spoon to remove the meat to a bowl. Drain off some of the fat from the pain leaving just a little bit. Melt 2 tbsp butter in the skillet over medium heat. Add the onions to the skillet and allow them to sweat for 5 minutes. 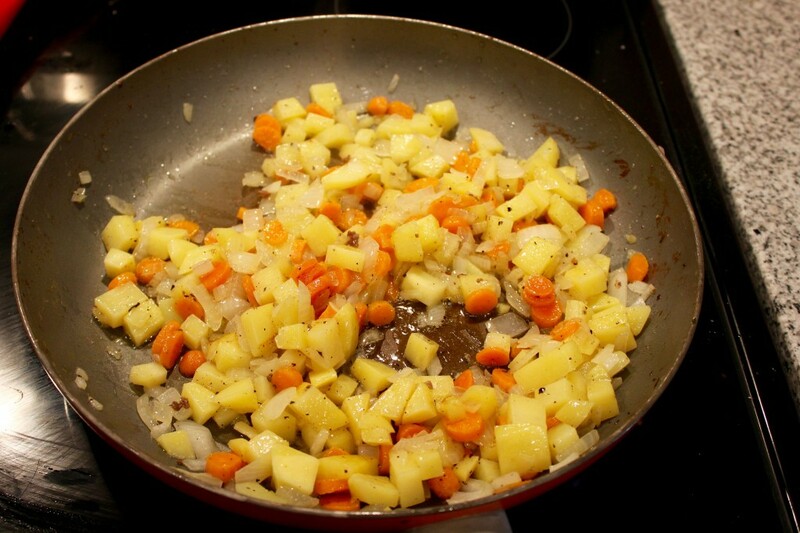 Stir in the carrots and potatoes and cook for about 10 minutes until they are fork tender. Mix the vegetables into the beef. Line a pan with reynolds release or parchment paper. 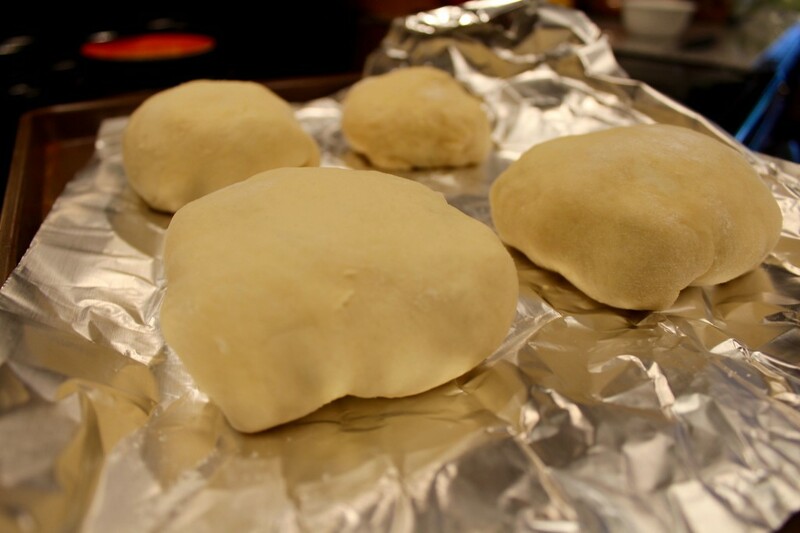 Roll out the dough balls into 3×5 inch rectangles. 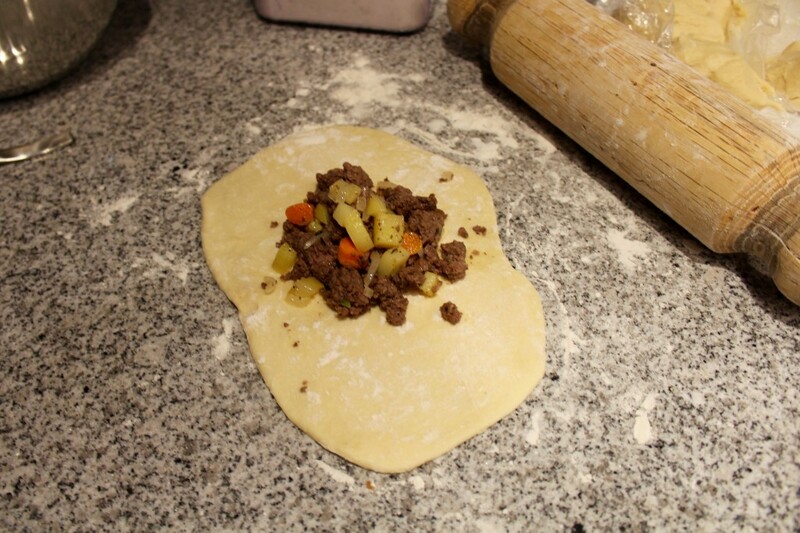 Place 1/2 cup of the filling in each rectangle, fold the corners in and gather them together, smashing them a bit. Flip them over and place them seam side down onto your prepared pans. 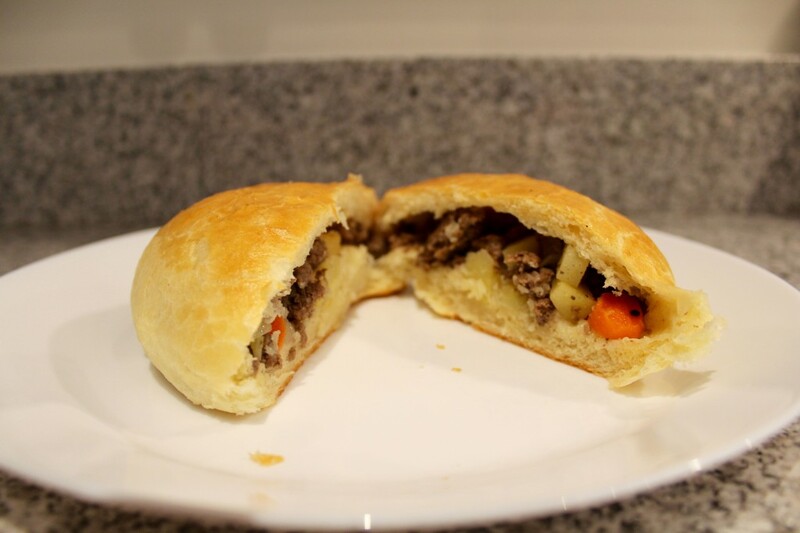 Allow all the runzas to rise, covered with a tea towel, for 45 minutes. Preheat the oven to 375 degrees. Whisk 1 egg with 1 tbsp of water. Paint each of the runzas with egg wash. Bake for 20-25 minutes.